For your ease of reference, we have a lottery draw table that compares the best lottery tickets and games from around the world. This makes it easy for you to pick and choose what you want to play! Lotto Draw — How Can I Know What to Play? The reason we commit our energy and time into getting these details for you is so that you can easily refer to our lottery ticket chart and quickly get the information you need to decide the game of your choice. For novice players, our chart is the best starting point because it gives you a one-stop-shop to look at the variety of games and the most important, it shows you the lowest price you can buy the lottery ticket of your choice! We are the only service online which provides this comparison. 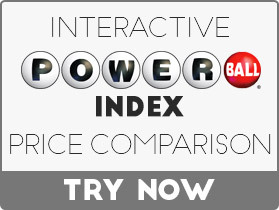 Our lottery draw chart is not only for online lottery beginners but for seasoned players. It gives you the easiest way to pick your next game to play. This field break lists the formula of how the lottery tickets are sold and the winnings are determined. Experienced players can use these statistics to calculate their odds of winning. Knowing the days a lottery draw takes place can give you the opportunity to plan your lotto playing a schedule against your budget carefully. This is a crucial element when planning lottery games. Odds help you to calculate your likelihood of winning big. If you are new to lottery games, it is advisable to start with games that have the best winning odds. This will enhance your confidence and familiarize you with the process. Here, we give a snapshot of the popularity of each lottery game, including how it ranks within our community of players and the number of players who have voted. Are you looking for a lottery game on a budget? We have simplified the process by showing you the lowest price of the ticket enabling you to find the game that you can comfortably play easily. This section gives you a countdown to the next lottery drawing. This helps you in planning your lottery playing schedule. One of the biggest questions to ask when playing a new lottery game is “Just how much could I win?” This section answers that question, allowing you to choose which game is best to invest your money in. We have provided you with a detailed breakdown of each lottery game. All you need to do is to click on the respective game and read the information. Our reviews are written in such a manner as to answer every possible question you may have concerning a particular game. If they don’t, there is a place to ask questions! Besides the giants – US Powerball and Mega Millions, I recommend playing SuperEna and UK National Lottery. Nice games and nice odds. Thanks, Lotto Exposed team for great updates on promotions! Spain’s New Year Raffle is something I was waiting for! Like the promos, but my favorite is that all the major lotto agents are listed here with ticket prices. So, I can compare it. It’s a really great thing. Great reviews, guys! I’m passionate about lottery, but come here every time I’m not sure about new agents. Great work! Thanks a lot, Lotto Exposed! You’re doing a great job! And a special thanks for the ticket prices, it made my life much easier.